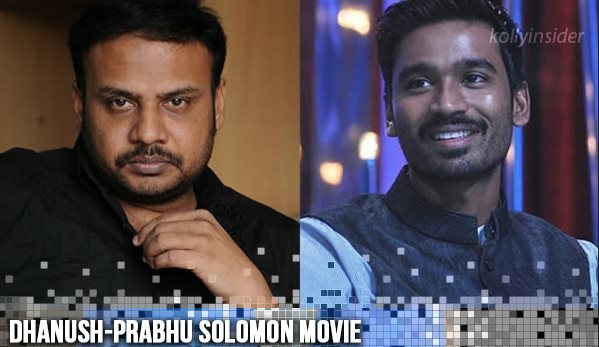 Prabhu Solomon has started shooting for his untitled next starring Dhanush in lead role and produced by Sathya Jyothi Films. Maverick filmmaker Prabhu Solomon swept us off the feet completing the love trilogy – Mynaa, Kumki and Kayal that have appealed to the universal audiences and spanned huge box office collections as well. Aftermath the grand successes of these flicks, the director has managed to rope in a leading actor for his untitled next. As we already know that Dhanush has been signed to play the lead role in this untitled project, produced by Sathya Jyothi Films, one of the most prominent productions of Tamil cinema. The project was officially launched before few days and without many huge noises, the entire crew has silently started working on this new project. Vetrivel who handled cinematography for Prabhu Solomon’s Kayal is cranking camera for this film as well. The first leg of shooting has commenced in the backdrops of Goa beaches with Dhanush and some supporting actors. Nevertheless, the heroine of this film is yet to confirmed and there are two or three considerations for this characterisation. D Imman has already started composing music for this album and it looks like Dhanush will be crooning one of them. Dhanush has been simultaneously working on many projects that includes Balaji Mohan’s next titled ‘Maari’, produced by Sarathkumar and Radhika Sarathkumar under the banner of Magic Frames with Kajal Aggarwal playing the female lead.